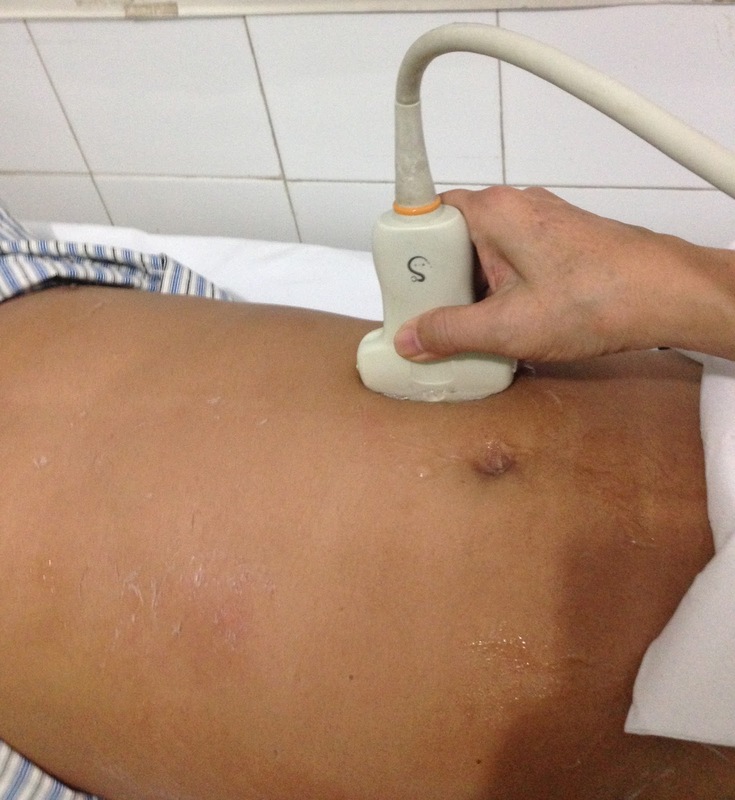 Man 35yo, onset epigastric pain treated as gastritis for one week, fever. 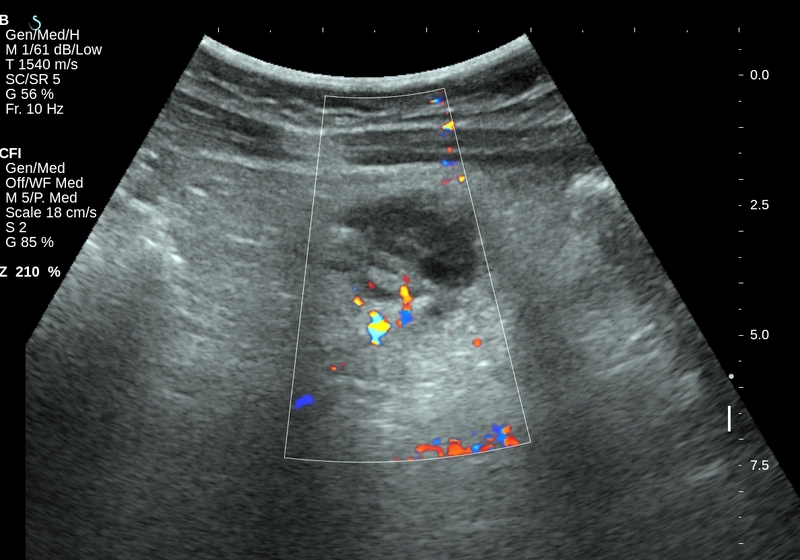 Ultrasound of abdomen= pain at upper left abdomen quadrant (US 1 probe put over pain point). 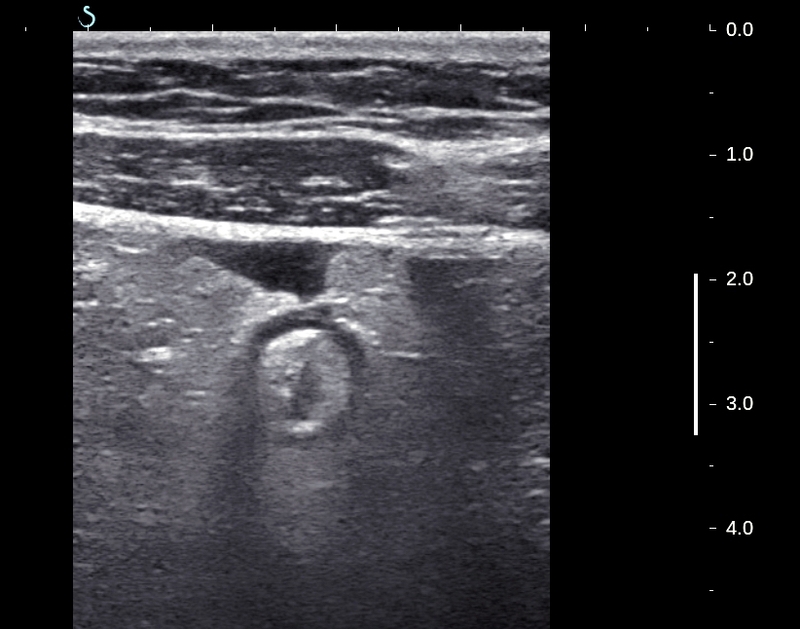 US 2= mass rounding as an abscess, CDI: no more vascular supply. 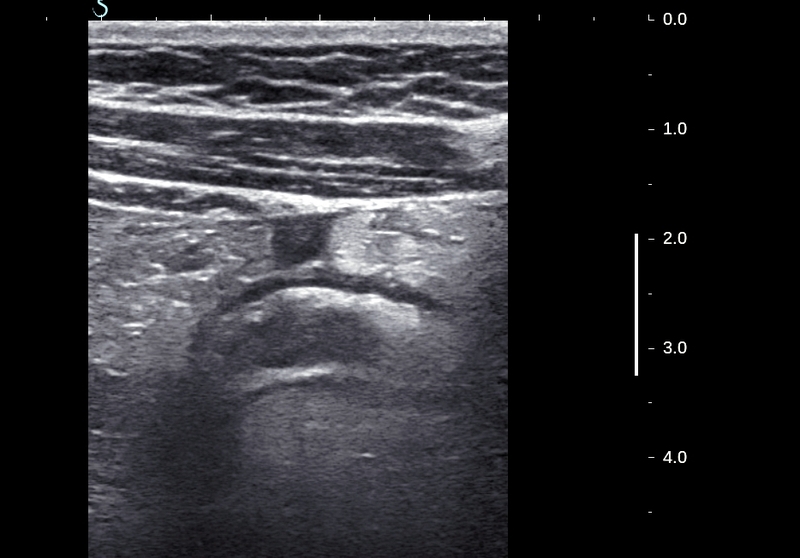 US 3 (with linear probe) intra abscess the linear structure look like appendix). US 4 = cross section. 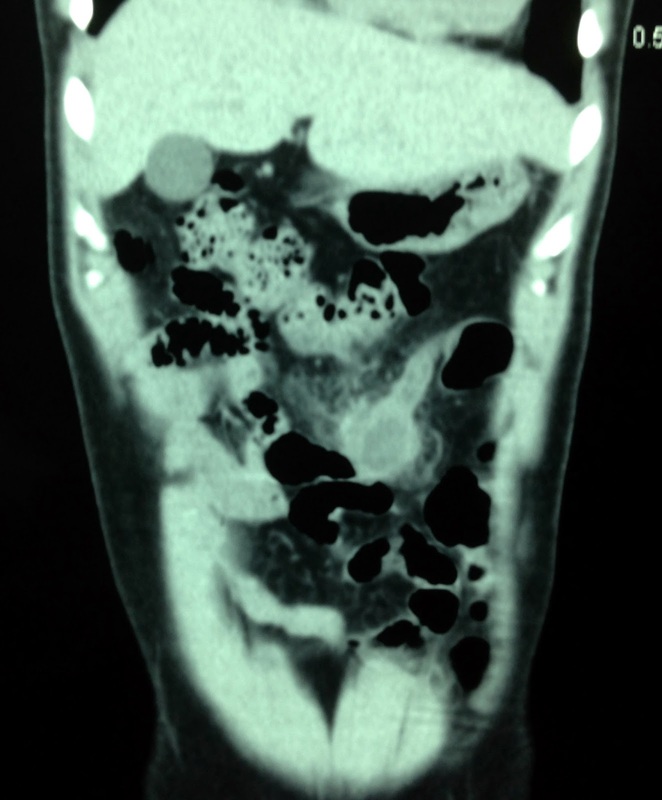 Emergency CT with CE= mass wall-off by small intestine and great omentum as an abscess ( CT1, CT2). Blood test WBS = high 14k , with neutro 9.9, CRP 38.3ng/dl. 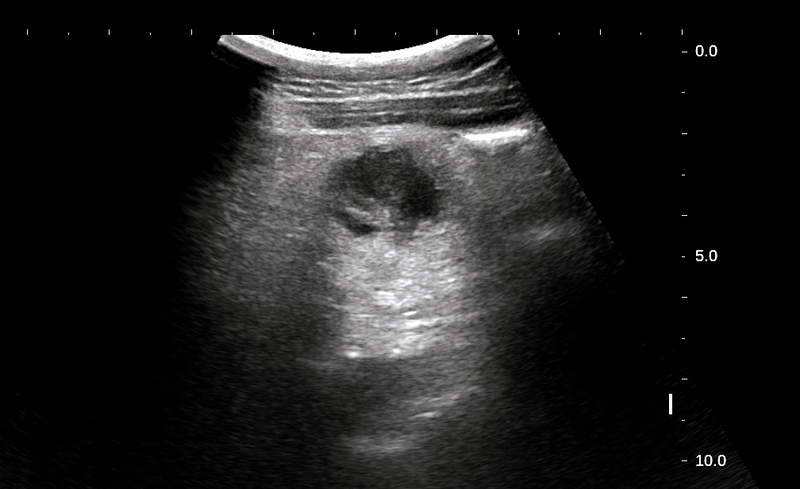 Preoperative diagnostic is intra abdomen abscess due to ectopic appendicitis. Laparoscopic view = the pus goes out from this mass and open operation removed appendiceal partial necrosis and mobile coecum. 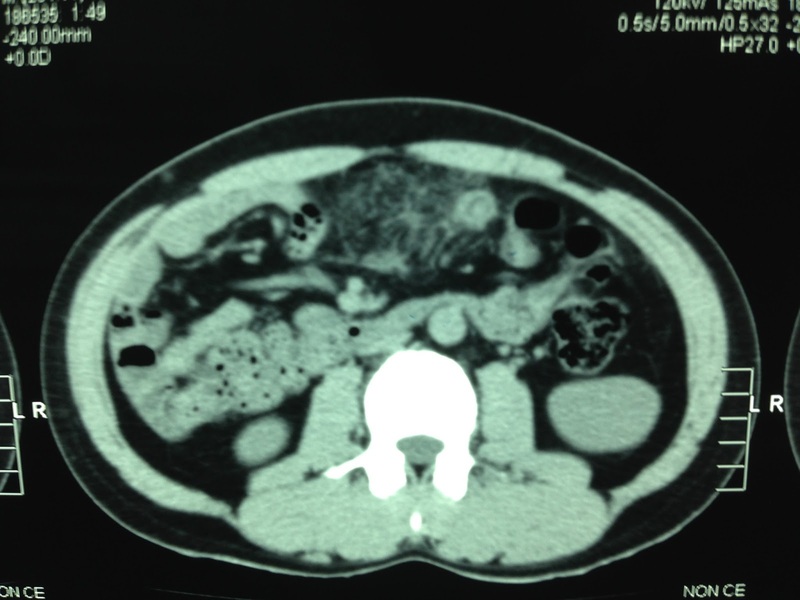 Conclusion= appendiceal abscess in ectopic position at left abdomen site.